Zimbabwe Army Boss Is Said to Demand: Who Ordered Crackdown? 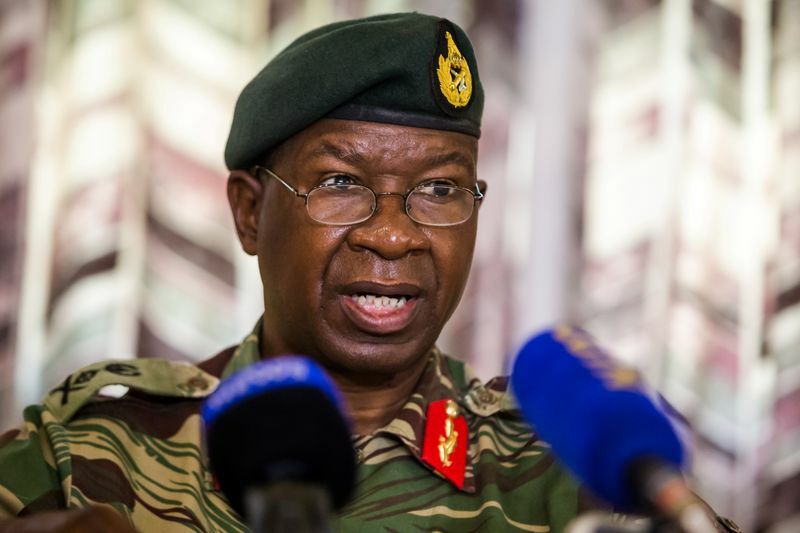 Zimbabwe’s armed forces chief is demanding to know who ordered troops last week to break up protests against the ruling party’s election victory and why he wasn’t informed about the decision, according to three senior government officials. General Philip Valerio Sibanda asked for an explanation from President-elect Emmerson Mnangagwa, his advisers and intelligence chiefs of the events on Aug. 1 that left six people dead in the capital, Harare, and raised questions about who controls the security forces. No one shed light on what happened, according to the officials, who have details of the Aug. 3 meeting but asked not to be identified because they aren’t authorized to comment. The military dramatically intervened in Zimbabwe’s political scene in November when it briefly took control of the southern African nation and prompted the ruling party to force long-time President Robert Mugabe to step down and replace him with Mnangagwa. The commander at the time, Constantino Chiwenga, was appointed deputy president. At the meeting with the president, Sibanda, a respected figure who commanded a multinational peace-keeping force in Angola, also wanted to know the identity of armed men dressed in ragtag uniforms that were shown on social media beating people and riding in military vehicles. He said publicly that no Zimbabwean soldier was ordered to fire on unarmed civilians and no such directive would ever be given. “We’re witnessing what are purported soldiers, but they’re not soldiers, and we’re very busy investigating this,” Foreign Minister Sibusiso Moyo, a retired general, said Tuesday by phone. Mnangagwa, who was declared the winner of the presidential vote on Aug. 3 and is due to be inaugurated on Sunday, told reporters the police were legally entitled to request the army’s assistance to maintain public order when they were overwhelmed. He ignored a question about whether he was told in advance of the deployment and promised to set up an independent probe into the violence. Army spokesman Overson Mugwusi didn’t answer calls seeking comment. The officials said Sibanda, 61, also demanded that Mnangagwa, who is the commander-in-chief of the armed forces, ensure members of the ruling party don’t involve themselves in military affairs and the police do their job without relying on the army’s support. Mnangagwa,75, dismissed suggestions that rogue elements within the government may have orchestrated the operation, possibly as part of a plot to oust him, and the national intelligence agency has thus far been unable to explain how the events unfolded, they said. The protests erupted after the electoral commission declared the Zimbabwe African National Union-Patriotic Front the winner of almost 70 percent of the directly elected parliamentary seats, an outcome the opposition said was rigged. Western and local observers said while the campaign and vote were largely peaceful, the electoral process was badly flawed. Human-rights organizations have also received numerous reports from Harare residents that men in military uniforms went door-to-door seeking members of the opposition Movement for Democratic Change and beating up many of them. The government has set up a special phone line for victims of the violence to make reports while police teams are on standby to respond to any fresh cases of attacks, the army and the police said Tuesday at a joint news conference. Their statement also cast doubt on the identity of the assailants. “Some of these individuals may be criminals masquerading as soldiers,” they said in the joint statement. Aaah……I am not the one! If criminals can throw grenades at the president; get uniforms, guns and vehicles, kill in broad daylight in front of cameras, in the capital city without being caught it must be so easy to attack Zimbabwe!!! Just were is the real army when all this is happening? Will the army defend us from foreign invasion?